Lumiere condominiums are all professionally and designer decorated with original artwork and furnished with hardwood floors. 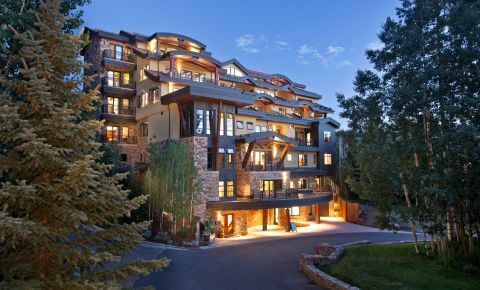 Interiors include gourmet kitchens featuring Wolf and Sub Zero appliances, seperate dining areas and living areas with gas fireplaces, mountain views of the San Sophia range and Wilson Peak. Bedrooms are all ensuite with king beds, oversized master bathrooms including steam showers and soaking tubs. Amenities onsite at Lumiere are many and include the Little Bar at Lumiere which offers European style continental breakfast daily and tapas dinner options, cocktails and wonderful wines. The Little Bar also offers patio dining with fountain, sitting area and two fireplaces. Just outside the bar is the outdoor hot tub along with warm and cold soaking pools. 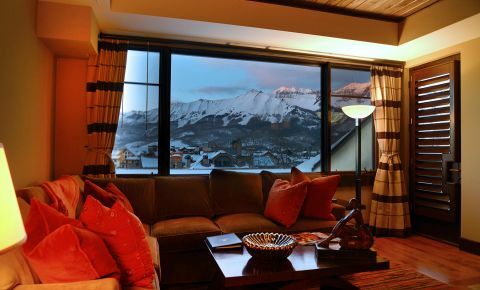 After enjoying the outdoor activities Telluride and Mountain Village has to offer relax with a spa treatment within your own residence. 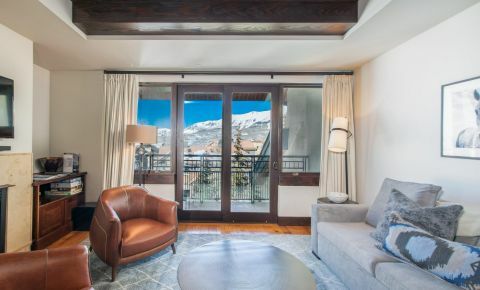 Other amenities include an onsite fitness room with cardio and free weight equipment, concierge services, black tie ski valet services, daily housekeeping and turn down service. For a hands-free no hassle ownership option, Lumiere Telluride residential condominiums will not disappoint!